I am always looking for ways to kick up my cooking and add some new delicious flavors to my meals. 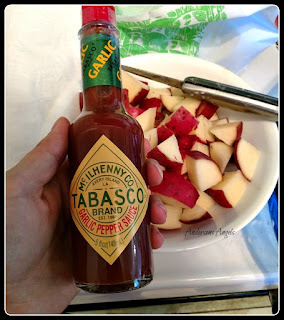 Recently I received a TABASCO Large Gift Box set to review with my family. I do not typically use hot sauce in my cooking unless it is call for in the recipe because I can not handle spicy foods. But I am always willing to try something new as well and since I got the Gift Box it had several different flavors for me and my family to try out other then just the normal Hot. 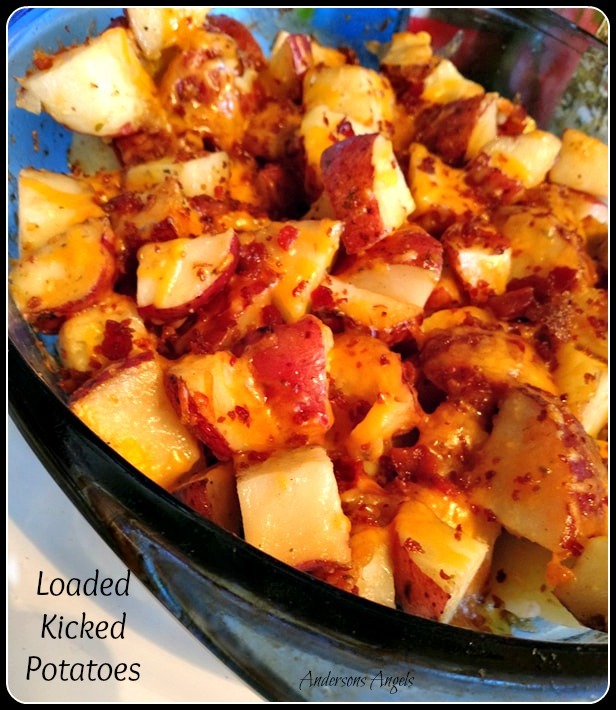 I decided to try and kick up my one potato recipe with the Garlic Pepper Tabasco sauce for dinner one night and I have left the recipe for you below. I was not sure if my family would even like the potato dish once it was done but to my surprise I was told that it was the best potatoes they had ever had. I must say that I really liked them as well and will now be trying the recipe with some of the other flavors of Tabasco sauce I received. Preheat Oven to 400*. Spray your 9x13 baking dish with cooking spray. In a large bowl combine the olive oil, garlic powder, Garlic Pepper Sauce, pepper, paprika and salt. Add the cubed potatoes and stir to coat the potatoes. Place the potatoes in the baking dish. Bake the potatoes for 50 minutes, stirring them every 20 minutes. During the last 5 minutes of cooking add the cheese and bacon bits to the potatoes. You Do Not Need to cover them. If you are looking for a great gift idea for someone who loves hot sauce or just loves to cook and would enjoy something new to work with. Then I recommend getting them the TABASCO Large Gift Box.